The Wigeon likes to be in large groups in the pasture. When flying, Wigeons make an unmistakable whistling sound. It breeds mainly in the north and east of Europe and visits western Europe in late summer, autumn, and winter. 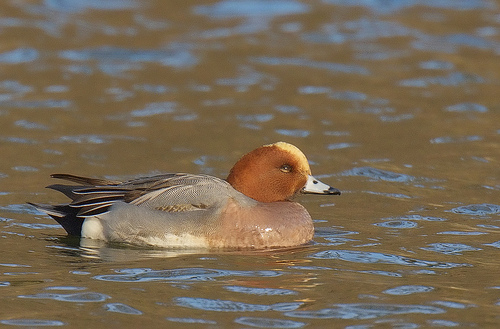 If winter is severe, the Wigeon migrates farther south. The Wigeon is much larger and likes to be in groups in the meadows. The Widgeon has a plain red or reddish brown head, the Teal has a green spot on it.